Whenever the time for Cars and Coffee rolls around, there’s the undeniable chance that a soon-to-be-wrecked Ford Mustang will roll up to the lot. 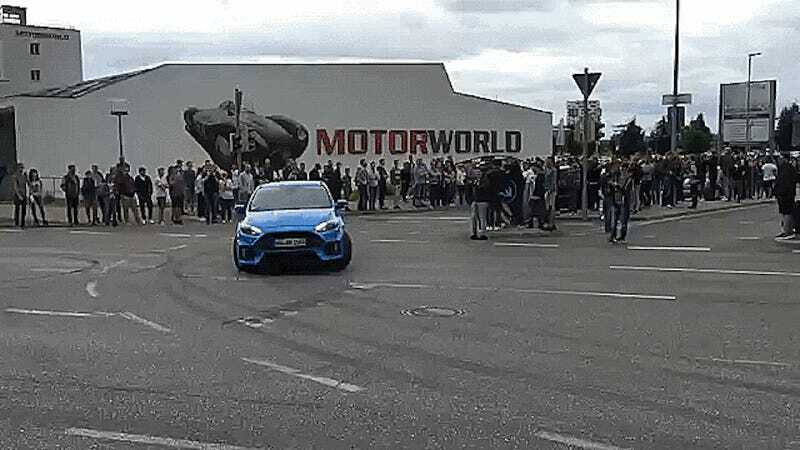 But it wasn’t a Mustang this time around—it was the drifting machine known as the Ford Focus RS, with a driver who utterly failed to drift it on the way out. Hey, none of us can get it right 100 percent of the time. Perhaps the driver just got nervous with all of the cameras, nearly wrecking the poor thing as a result. It wasn’t a Mustang, but at least this person managed to keep the trend within the Ford family. If this becomes a meme-worthy thing, maybe a bunch of discounted Ford Focus RS listings will wind up on Craigslist.